The sophisticated Japanese producer Makoto is set to unleash his 3rd album on his imprint Human Elements this October. ‘Souled Out’ is a collection of various genres and styles, highlighting Makoto’s incredible diversity and skill. 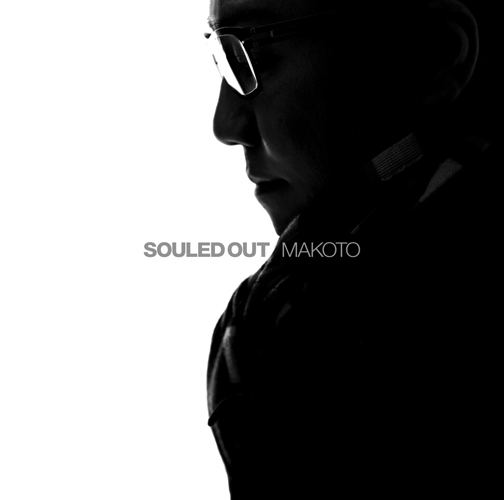 With renowned releases like ‘Golden Girl’ and ‘Release The Bird’ already part of his extensive repertoire, ‘Souled Out’ is proof that Makoto is still very much at the top of his game. Johnson, with its rolling drums and slow motion breakdowns supported by the likes of Hype, Marky, Bassline Smith and many more. ‘Magic Hour’ opens with an encircling bass-line that has style and class, which sails throughout the track with ease, releasing pleasure and desire along the way. Its down tempo disposition reaches a turning point towards the end when suspension is set. Makoto and Deeizm are no strangers to one another, and they come together once again on album tracks ‘Woe’ and on a new remix of ‘Untold’. With ‘Woe’s rhythmic trickery and futuristic backdrop, it has a touch of flair whilst remaining laidback and seductive. ‘Turning Points’ is commanding and immersed with power and masculinity, which is emphasised by the sound of a Moog. Floating vibes and happy melodies – ‘Bubbles’ encourages enthusiastic smiles while ‘Flight Time’ is tinged with a hint of jazz. Featuring Root Soul, we can expect nothing less; this piece is splitting at the seams with energy and elegance. A beautiful piano introduction, with strings and much more, closing track ‘Room Enough’ featuring the unmistakeable Cleveland Watkiss is rich, impressionistic and rousing, but both fun and boundless. From a very young age Makoto has been influenced by a large variety of styles,ranging from classical through to soul. ‘Souled Out’ explores the genres he loves while showcasing his flair as a modern drum&bass artist in an accessible and contemporary way. This entry was posted on September 17, 2011 at 11:02 am and is filed under News with tags Album, Dance, Drum n Bass, Dubstep, Electronic, EMN Promo, House, Listen, Makoto, Press Release, Preview, Promo, Promotions, Souled Out, Stream. You can follow any responses to this entry through the RSS 2.0 feed. You can leave a response, or trackback from your own site.